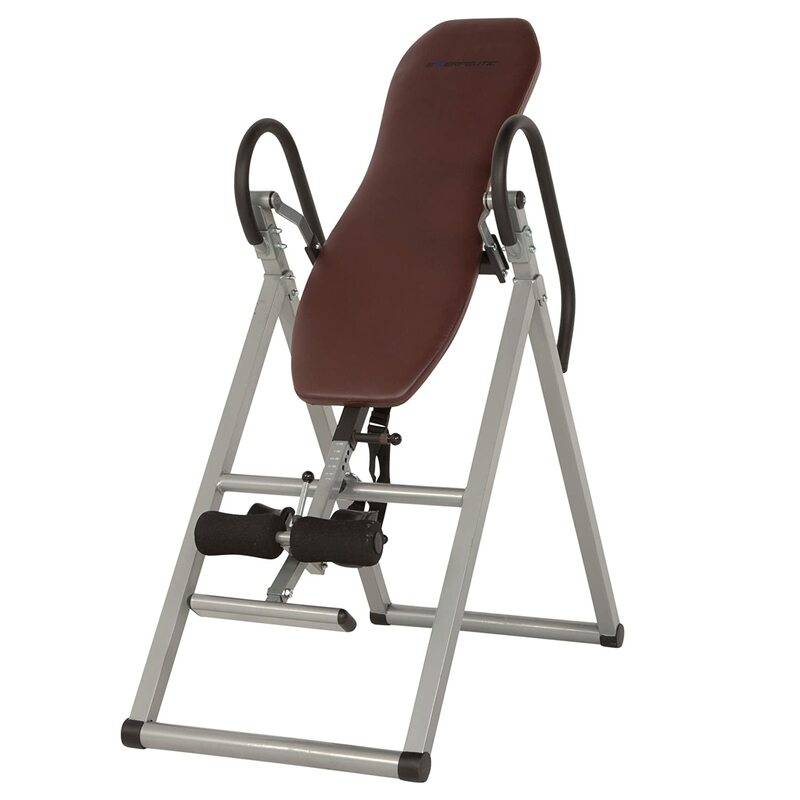 Need the best inversion table? Tired of having to deal with back pain? Do you put comfort over durability? 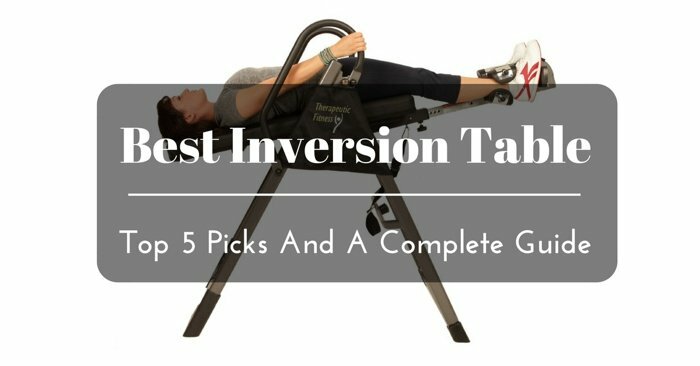 What factors should you consider while picking an inversion table? Inversion tables are recommended for back rehabilitation and exercise. If you suffer from flexibility issues, spinal problems, and chronic back pain, the best table for inversion will provide the therapy you are looking for. What Are the Most Critical Features to Look for? Since you will be using the table to solve a particular problem, it is vital that you find one that feels good to use. Tables that have padding are more effective, especially considering that you will be inverted for a considerable period. This padding is particularly useful around the neck, head, and ankle clamp support areas. However, not every table is padded at all points. Some simply focus on the critical pressure points and leave the rest uncovered. To this end, as you shop for the best table, you need to check that it is adequately padded before you buy it. Durability and safety go hand in hand where inversion tables are concerned. More particularly, you should check the materials that were used to create the table to discern if it is durable enough. Although you might want to save money, this is not something you want to do where inversion tables are concerned. After all, the table will be for your own safety and health – meaning that you cannot afford to compromise on quality. Since the table will have to support your weight all the while holding you as you hang upside down, you need to find one that works well. It doesn't make sense looking for a solution to your back pain only to end up falling and injuring your other body parts. To this end, the best of these inversion tables tend to be safe, durable, and sturdy. As such, they will serve you over the long haul without causing any hassles or issues that might take you back to hospitable. 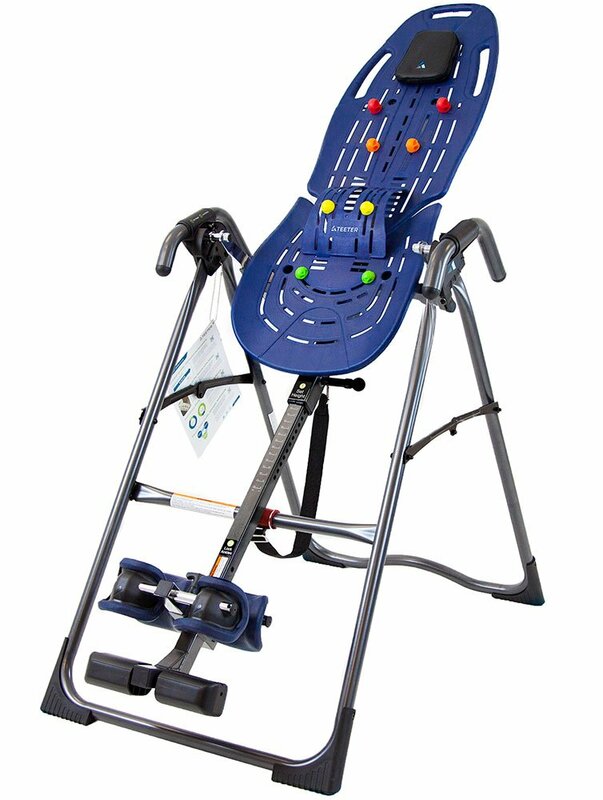 Some inversion tables sell acupressure nodules as add-ons. These hard plastic knobs are designed for strategic placement on the table. When you are inverted, the nodules will stimulate specific acupressure points in the legs, neck, and back. As such, they deal with these pain points and lead to faster recovery. Although inversion is one of the best forms of relief from back pain, using a poor quality table might prove so uncomfortable that you will end up giving up in a week or less. Therefore, you might want to consider shopping for a table that has an ankle locking system. Similarly, the design of the bed should be sound enough to deliver the comfort you require. If you lead a sedentary lifestyle or work in an office, it is highly likely that you suffer from lower back pain. Inversion therapy will encourage muscular relaxation and spinal stretches. However, it might not address the hip and/or lower back pain that is caused by prolonged sitting. As such, most of the best of these inversion tables come with lumbar bridges. These bridges will push against your lower back when you are inverted. In the process, they will create a deep stretch that could relieve some or all of this pain. Of course, the inversion table you invest in must be easy to use. If possible, for a table that you can easily assemble, set up, and dismantle. After all, you certainly don't want to spend hours assembling a table that is supposed to make your life easier. The table you pick should also be so well laid out that you can start using it a couple of minutes after you've set up. If it comes with ghastly instructional DVDs, then you might be better off with a different manufacturer. As mentioned above, you should never put a price on your overall health and well-being. In fact, the cheaper and lower quality the inversion table you buy, the more likely it is that it will cause more harm and lead to further injury. If the manufacturer implemented some cost-cutting measures, the chances are high that these steps will end up affecting the safety and structural integrity of the final product. To this end, the best of all inversion tables will never be the cheapest one you come across. In fact, cheap tables tend to be of an inferior quality. They are also highly likely to break down after a couple of uses. All of these factors make such tables a terrible investment. Most inversion tables tend to be bulky and large. As such, you might have a hard time moving them around. Therefore, before you invest in any of these tables, you should ensure that you have the stamina and strength to deal with the weight and dimensions. Alternatively, consider setting aside a specific location in your home where the table will be installed. By so doing, you won't have to haul the table every time you need to immerse yourself in some inversion therapy. In the same way, you should ensure that the area where you place the table is stable enough. If possible, find a surface that is as level as possible. Failure to do this will put you at risk of falling during inversion – a risk you certainly don't want to take if you are to recover from your already existing problems. Last but not least, consider the space your inversion table will take up. Most of these tables are large, bulky, and complex to break down. As a result, you are going to need a large enough space to store/use the table. If the space in your home/condo/apartment/flat/studio is small, then you might have a problem with the table. Consequently, before buying a table, first measure the amount of extra space you have. Remember, the table will require more space after you flip it into inversion mode. Among all the products in the marketplace, the following stood out as the best of the best of all inversion tables. In particular, they ranked highly for comfort, range of motion, and safety. Some even have extra features that will improve your inversion experience. Heavy and effective, the Ironman IFT 4000 Therapy Table was designed to be reliable, and sturdy. It is also foldable but will require extra strength to haul it around. That said, this table is comfortable on account of its memory form. It also provides detachable lumbar support to help people suffering from chronic lower back pain and sciatica. It offers excellent flexibility and comfort. This table will provide you with superior back support. It is relatively easy to store. It is also easy to set-up. 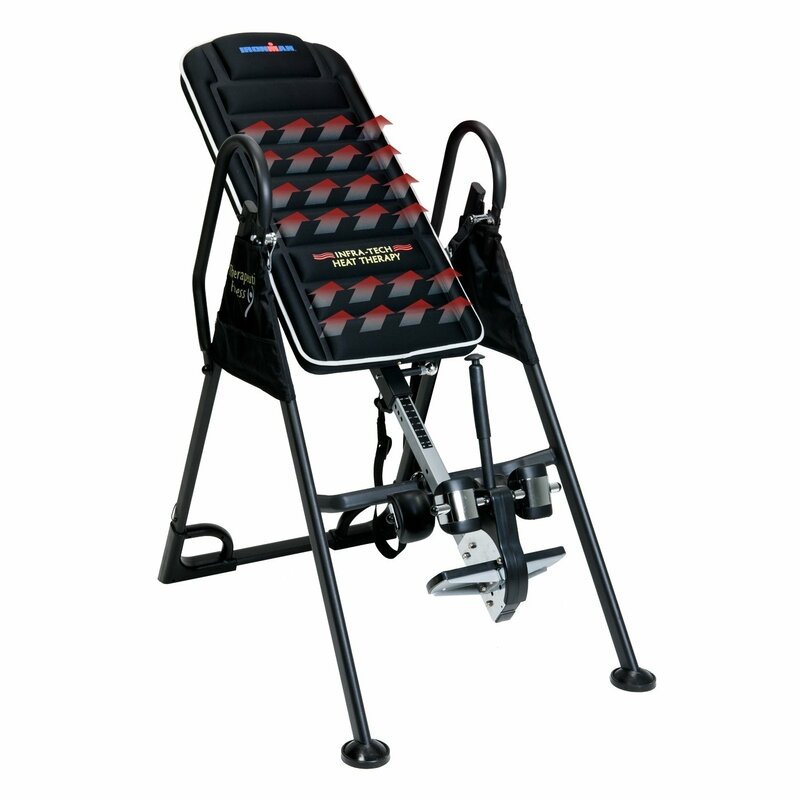 With the Teeter EP-560 Inversion Table, you should be able to easily and effectively reduce your back pain. It even comes with a lumbar bridge and acupressure nodes that will encourage better circulation, strengthen your spine, and heal your back pain. With highly advanced features, the Innova ITX9600 Table is among the best in the marketplace. With it, you get to experience the unique therapy sessions needed to cure your back problems. This comes from the lumbar padding, and massage and heat settings. Provides optimum convenience and comfort. Best of all inversion tables in terms of safety. Apart from its comfortable foam backrest, this Exerpeutic Inversion Table also comes with a sturdy steel frame and vinyl-covered backrest, for extra comfort and ease of use. It also comes packaged with all the tools you need to assemble it. With a strong tubular frame and padded, the Invertio Premium is another one of the best of all the inversion tables you might find. It comes with ankle support and lower back cushions, which add to its comfort. Further, this table is extremely stable, meaning you are highly unlikely to slip and fall while using it. Be able to control the inversion speed. It folds flat, making it reliable for inversion therapy. The table is fully padded, which adds to the user's comfort. It has composite feet, which will protect your flooring from scratching and scuffing. It folds easily for storage. There are concerns about its durability. The tensile strength of its frame is hollow. The assembly directions are somewhat complex. The Teeter EP-560 is the best in terms of special treatment. This is on account of its lumbar bridge and acupressure nodes – which will encourage circulation and treat your back and spine. The Ironman IFT 4000 is efficient and comfortable. 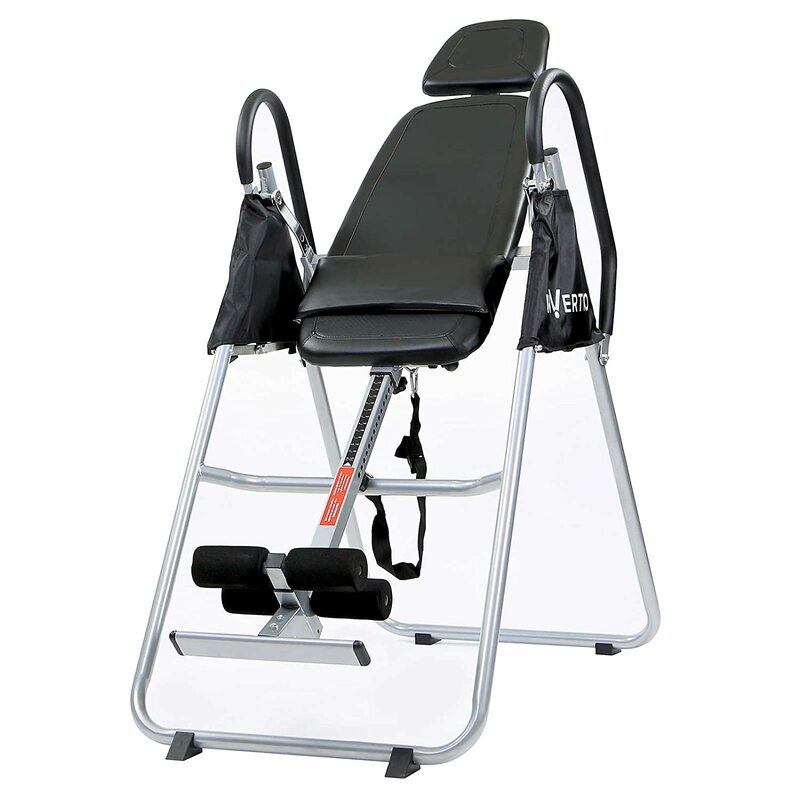 It comes with many other features that will relax your muscles and enhance your inversion experience. Designed with effective massage and heat settings, the Innova ITX9600 should help you heal through inversion therapy. Its adjustable lumbar pad is an extra plus that will optimize your convenience and comfort. 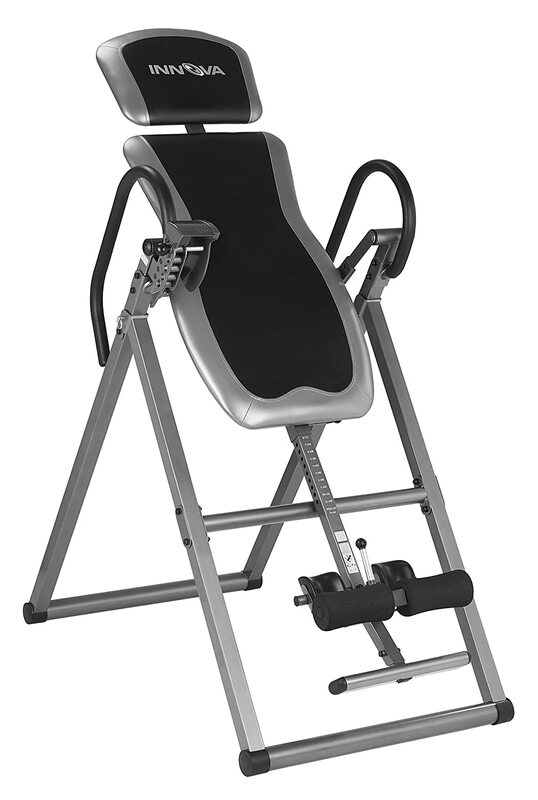 You will appreciate the thick foam added to the ankle locks and the backboard of the Exerpeutic Inversion Table. Although this is an entry level table, it is quite effective in terms of convenience and comfort. You can almost fold the Invertio Premium Folding completely flat. This means that the Invertio ranks among the best tables for inversion in terms of space savings during storage. It also has aprons that you can use to hide the locking mechanism and exposed pivot points. Among all the above recommendations, the Ironman IFT 4000 is the best tables in our opinion. This is a fabulous table, which is why it is one of the best selling on Amazon. It is also stable, high quality, and extremely comfortable. Overall, irrespective of your particular preferences, the guide above should have provided you with all the information required to help you make the right decision. Although we prefer the Ironman IFT 4000, any of the above should work out well. After all, they did make it to the list of the best tables for inversion on the market.